We counsel producers and production companies and represent their business interests during development, production and exploitation of their films, series and other audiovisual projects for all kinds of exploitation (theatrical, video, streaming/VoD, TV, music, merchandising, games, novelization, stage, etc. ), be it fiction, animation or documentary. Furthermore we counsel and represent screenwriters, directors, actors and performing artists as well as other rights owners in all areas related to film and other audiovisual media. We undertake all contract work for our clients which is requested, reasonable or necessary for the realization of their goals within the audio-visual sector. We either draft contracts ourselves or we advise on agreements proposed by possible contract partners and revise them until ready for signature. 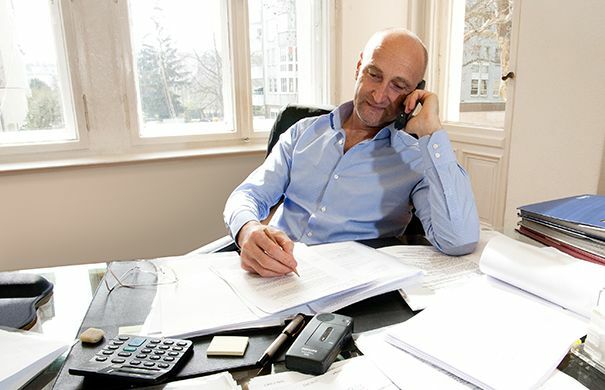 Preceding all contract work is the identification and definition of the specific interests and goals of our clients. We point out and discuss legal consequences, possible dangers and solutions in compliance with funding guidelines, industry customs, and laws, and consider economic and/or legal benefits and disadvantages in order to find and realize the best-possible structure. For more complex projects, in particular co-productions and co-financings, we place special importance on interweaving and harmonizing the numerous contracts of a film project in the context of development, financing, production, and exploitation so that a coherent and unified contractual framework will emerge in the end instead of individual agreements that do not fit together. If required we conduct necessary negotiations directly with possible contract partners or advise and support our clients in this from a position in the background. Every project is different. Individual. And every project must be designed individually and differently. 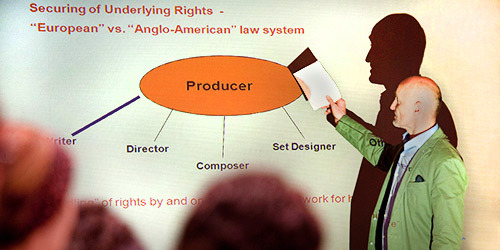 During the development and realization of national and international co-productions and co-financings we cooperate as early as possible with the producer in order to provide our client with the best possible individual structure for the project within a complex system of interests of the parties involved, German and foreign public funding guidelines, international conventions, industry customs, and laws, and to translate these structures into individual tailor-made contracts. Special emphasis is placed on thinking outside the legal box, on fully capturing the artistic, legal, and economic complexity of a film project, and on providing preferably lean and efficient solutions. for international clients to examine and explain the legal situation in Germany according to contract and/or law., e.g. for banks, completion bonds or others. 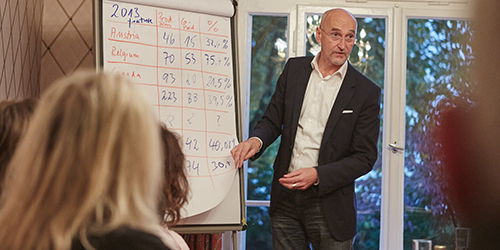 Stefan Rüll lectures regularly on current topics regarding the audiovisual industry and devises workshops in Germany and Europe (1-2 days) upon invitation in particular about co-production and co-financing of audiovisual projects. Mediation dates back to a more than 2000-year-old Chinese tradition. For Confucius a conflict was a sign of poor education, court proceedings traditionally led to disgrace and loss of face. The aim of mediation was – and still is – to settle a quarrel amicably by creating a win-win-situation for all parties involved. Mediation is particularly suited to settle conflicts within long-term and/or international business relations, transcending linguistic and/or legal borders. Stefan Rüll is a trained mediator and founding member of the association "Mediation in den Medien – Mediation in the Media, Music & the Arts e.V." (www.mimma.de), founded in 2005; see also "Mediation in den Medien" in AfP, Zeitschrift für Medien- und Kommunikationsrecht 2003, p. 514ff. or here as PDF (in German language). © 2019 Rechtsanwalt Dr. Stefan Rüll. Alle Rechte vorbehalten.